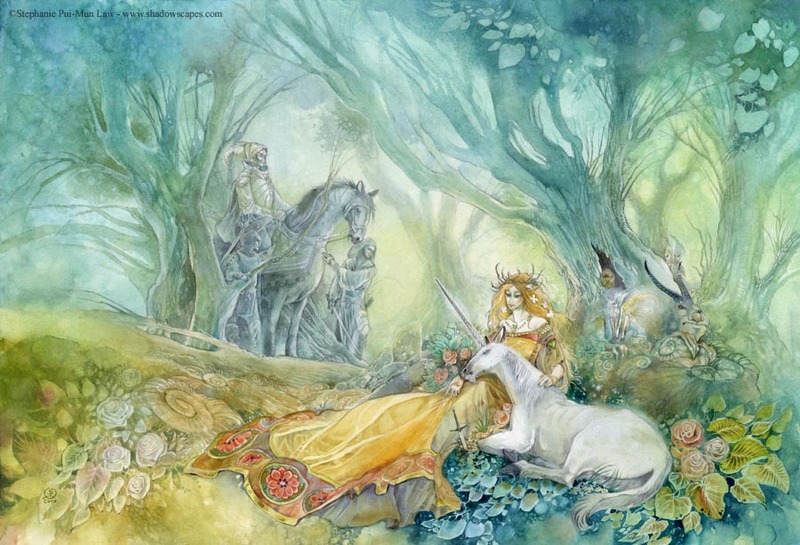 Store BLOG of Shadows: Fun with Faeries on Beltane! The holiday of Beltane (May Day) which falls on May 1st marks the mid-way point of the Pagan (namely Celtic and Wiccan) year. Opposite from Samhain (Halloween), Beltane marks the beginning of the "summer" or the "light half of the year." During these two festivals it is said that the barriers between this world and the other are thin and this makes such things as ghosts, ancestor spirits and faeries much more accessible. 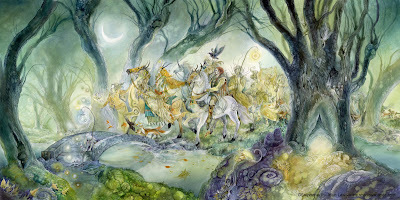 Being as this is the light half of the year, Beltane is associated more with life then death, and as such the Fae, who are often most directly related to plants and the earth and their wellbeing are more revered. One of the things you can do for Beltane to garner the favor of the Fae is to leave out an offering for them. Traditional offerings include honey, milk, bread, apples and jasmine. Mushrooms and toadstools are also appropriate gifts, as well as pennies, quartz, labradorite, and anything pretty or shiny you find lying around. Make sure however that none of your gifts are made out of iron. Faeries are allergic to iron, and they won't look kindly on a gift made of it. Leave your offerings in as natural a setting as possible (the Mountain is a great place for this, but your yard can work just as well). Organize your gifts and prettily and enticingly as you can and leave it there for the faeries to enjoy at their leisure. If you want to invite some Faeries into your home or garden (though beware, this may lead to random disappearances of keys! 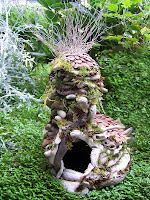 ), a great way to do this is to make a Faery Home. This is also a great project to do with your kids. Go to a forest or a park and gather as many rocks, twigs and leaves as you can. I also suggest getting some crystal quartz ahead of time, as quartz is very spiritually receptive and can act as a "fetish" or a spiritual home for an entity. 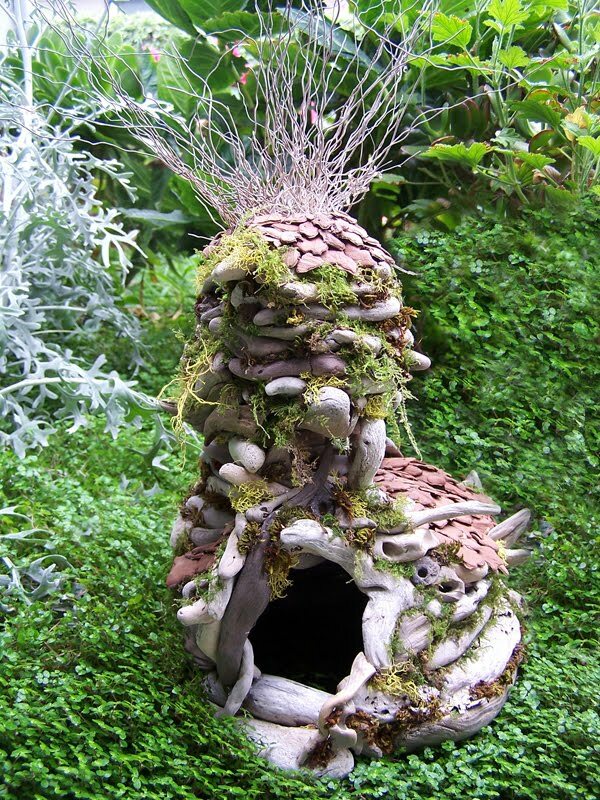 Using either craft clay or a glue gun, fashion your stones, twigs and leaves into a little house with a hole for a door. Not only are these little homes adorable but they are also very inviting for the Wee Folk. Place your house near some plants in your home or in your garden to help promote their growth and liveliness. 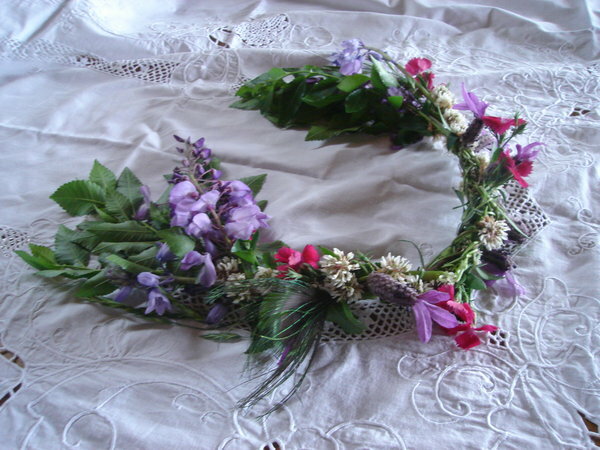 Make Garlands of Flowers for the Summer Lady At Beltane the Summer Courts (or in Celtic myth the Seelie Courts) of the Fae are in their full power. The Queen of the Summer Fae sings through the lands and creates warmth and beauty. One way to welcome her is by creating flower garlands in her honor. Wearing garlands and singing lusty songs like this one are traditional for Beltane and are particularly enjoyed by the Summer Court and it's Lady. Join in their summer revels by adorning yourself in flowers and dancing through the trees. Even better, adorn the trees and passers-by with garlands, bringing the Beltane Faery spirit to all. Faeries thrive anywhere there is spontaneity and joy! Did you enjoy the pictures in this blog? Favorite them and support the artists by buying their prints on Deviant Art. Featured in this article are: Tam Lin by Pui Mun Law, Faery House 14, Flower Garland 1D, and The Seduction.